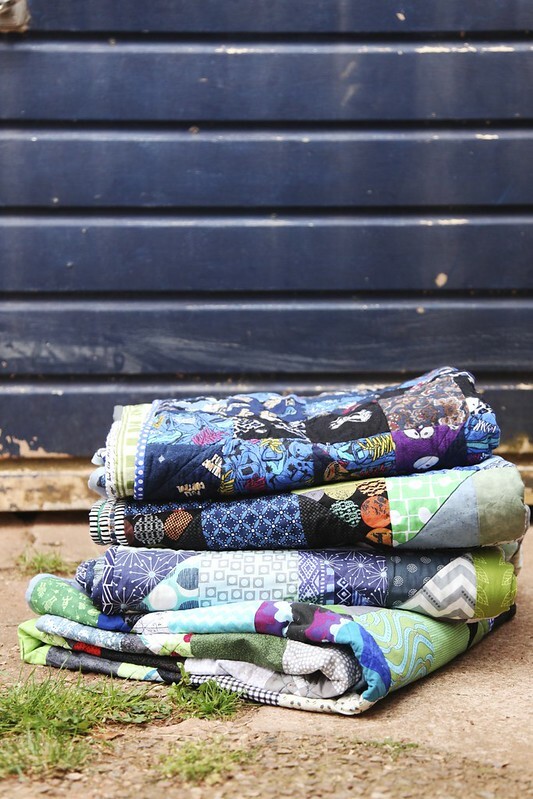 It’s flannel and ever so soft, it will be great for snuggling. 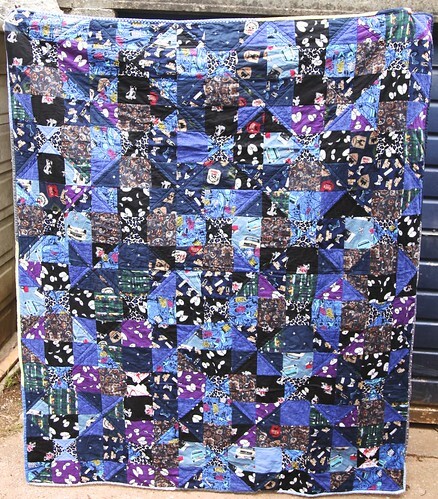 You can see the quilting clearly on this one. 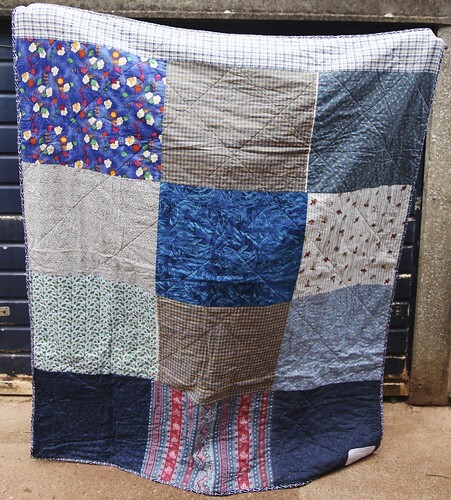 I was worried about how this would quilt as it was flannel but it was absolutely fine, maybe because the flannel was on top so fed smoothly through my machine. 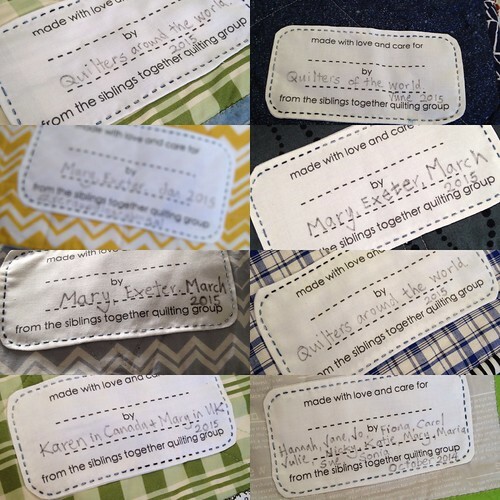 These are generously provided by Spoonflower who have sponsored the quilt drive by providing labels ever since we started. 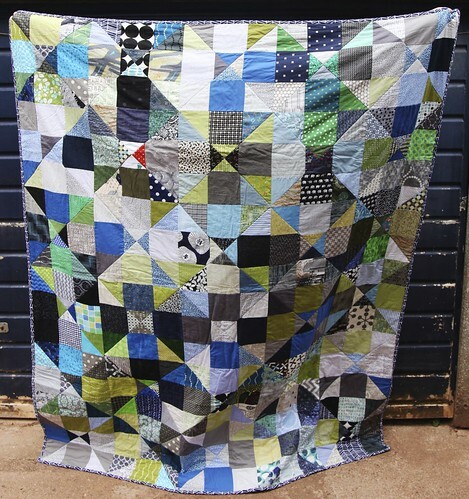 This is the final tick on my 2nd quarter finish along list, I committed to finish 2 Home Sweet Home quilts from the blocks and tops provided and eventually managed 4! 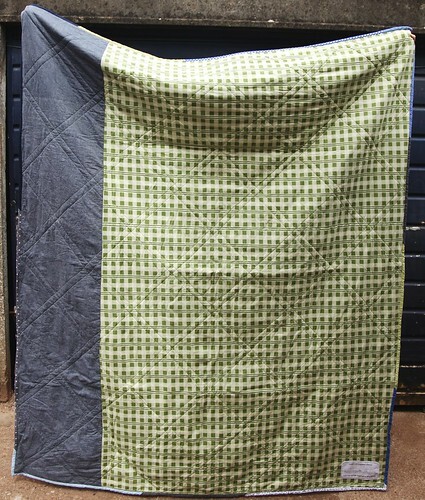 Thank you to everyone who has provided blocks, fabric, binding, wadding and funds to help make this possible. 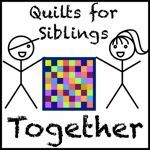 Our aim was to have 100 finished quilts ready for the camps this summer and we have 116 so far! 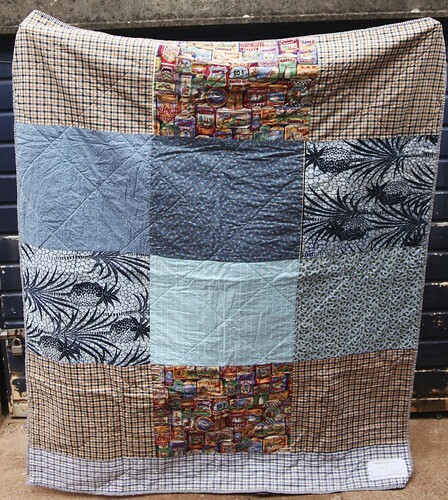 A great effort by so many lovely quilters. 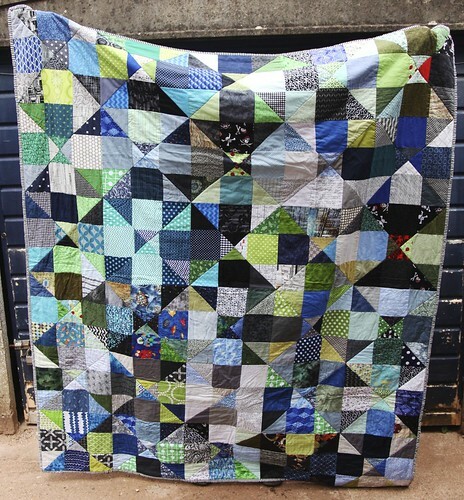 I really love all of these quilts, they are beautiful! I’m helping Adrianne with the FAL and I’m to also say that I am visiting as part of the FAL Cheerleading Team.